appr. 13,50 € - Art.-Nr. 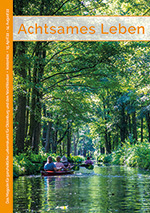 : 1111125430000 - HIER können Sie bestellen / You can order HERE. 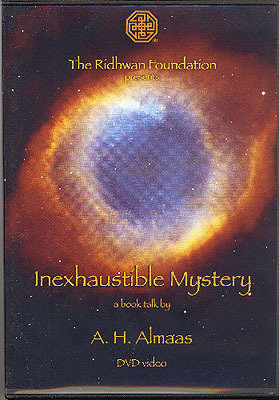 In his book talk, held at the new Ridwhan Center in Berkeley California, for the release of Diamond Heart Book Five: Inexhaustible Mystery, A. H. Almaas brings our attention to the ways we can approach our lives as a practice in order to actualize our potential as human beings. His further explorations on the relationships between the modern sciences and spirituality lead us to the possibilities of discovering a universe of experience and mystery that is usually not available in our ordinary lives. Inexhaustible Mystery is the fifth and final book in A. H. Almaas's popular Diamond Heart series. appr. 27,- € - Art. Nr. : 1111121660001 - HIER können Sie bestellen / You can order HERE. 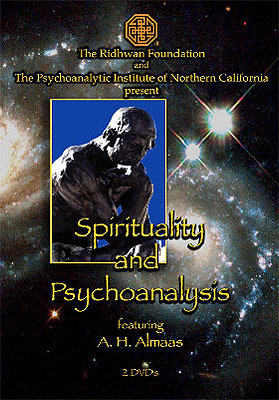 Spirituality and Psychoanalysis documents an all-day conference exploring the meeting ground between these two disciplines. 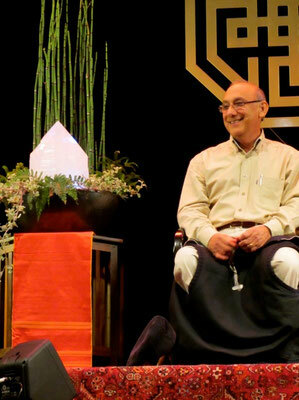 Hameed Ali was a featured guest who shared the podium with Zen Priest, Dianne Musho Hamilton, and Peter Carnochan, Charles Dithrich and Karen Peoples of the psychoanalytic community. 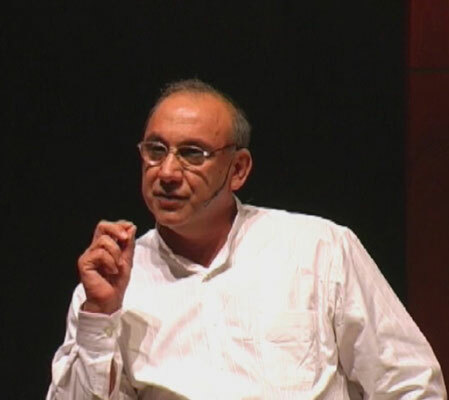 In his presentation that opens the day, Hameed has the opportunity to articulate the way he sees the Diamond Approach to spirituality drawing on the understandings of psychoanalysis, as well as going beyond them. Later, there is discussion between members of the panel and then questions from audience members to the panel. This is an unusual and fascinating context to experience Almaas in dialog with psychoanalytic practitioners—something he has been interested in since he wrote his Diamond Mind books, such as The Pearl Beyond Price and The Point of Existence. appr. 13,50 € - Art. Nr. : 1111121660000 - HIER können Sie bestellen / You can order HERE. 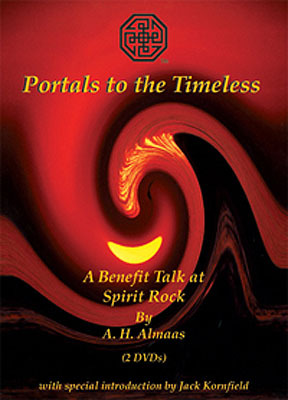 This is a public talk given by A. H. Almaas at Spirit Rock Meditation Center, on October 5, 2008, to introduce his new book, The Unfolding Now. 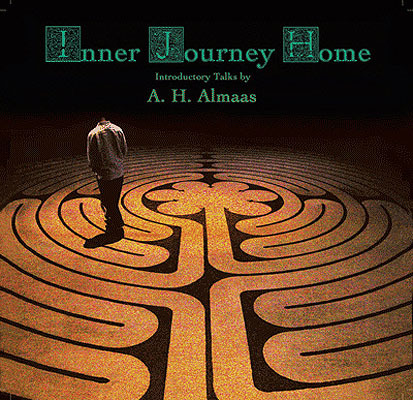 Join Almaas in this journey of inquiry and curiosity as he offers the experience of what it means to be where you are in the moment, allowing your inner unfoldment to manifest. 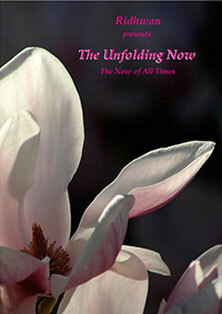 This DVD provides a rich understanding and exploration of the simplicity of being ourselves without the interference of our habitual patterns. appr. 9,90 € - Art. Nr. : 1111117820000 - HIER können Sie bestellen / You can order HERE. 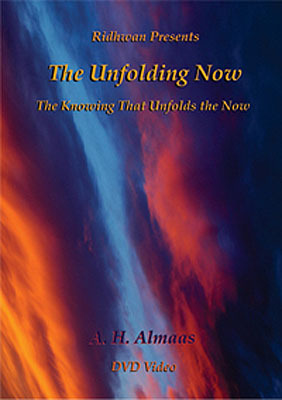 This video is of the public talk given by A. H. Almaas at St. Johns Presbyterian Church on July 18, 2008 to introduce his new book, The Unfolding Now. 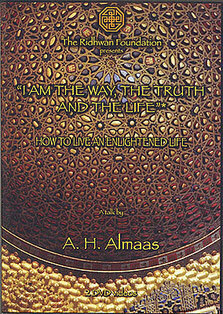 In this DVD, Almaas discusses the method of the Diamond Approach as a practice of "being where you are." It is a way to allow, accept and enter into whatever we are experiencing in the moment as contrasted to other spiritual methods designed to alter the individual"s current state or promote the development of a certain realized condition. In this approach, being where you are becomes a spiritual path of inner "non-doing" that is integral to daily life rather than a spiritual practice that only occurs in a particular context in one"s life. appr. 9,90 € - Art. Nr. : 1111117830000 - HIER können Sie bestellen / You can order HERE. 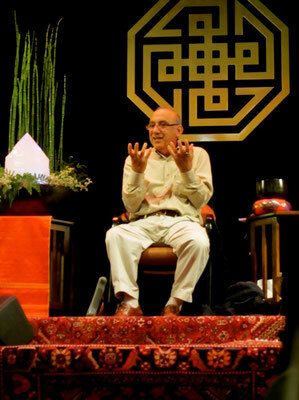 On the occasion of the publication of The Inner Journey Home, the magnum opus of his spiritual teaching, A.H. Almaas gave public talks to introduce the Diamond Approach® to a larger audience. Viewing these talks gives the listener a profound and fascinating insight into the nature of the human soul and spiritual reality. Provocative for newcomers and illuminating for current practitioners of the path, each of these three presentations explore a different aspect of the inner journey described in the book. appr. 18 € - Art. Nr. : 1111117730000 - HIER können Sie bestellen / You can order HERE. The DVD is no longer available in our shop. You can watch this series on YouTube. Recorded at an exclusive full-day workshop at the Spirit Rock Meditation Center, May 6, 2001. Since our everyday experience expresses the qualities of our true nature, the precise understanding of this relationship can function as a bridge to awakening and realization. Working with the relation of true nature to ego manifestations, we can use these manifestations as portals to the timeless truths of our true nature. appr. 13,50 € - Art. Nr. : 1111117710000 - HIER können Sie bestellen / You can order HERE.